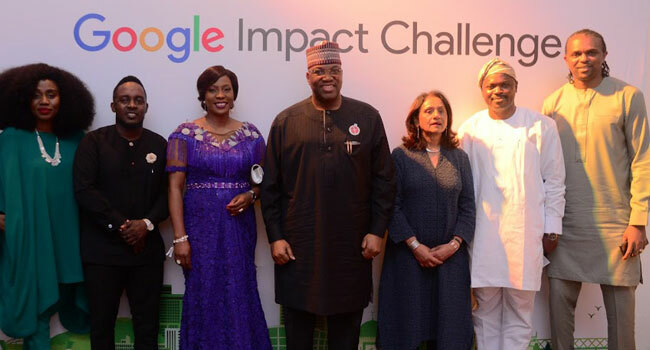 Google on Wednesday announced the winners of its first Google Impact Challenge in Nigeria with 12 non-profits and social enterprises each awarded a share of $2million in grant funding. The four winners – The Cece Yara Foundation, HelpMum, Project Enable Africa and Vetsark – will receive $250 000 each, while the eight runners-up will each receive $125 000. According to the organisers, the funding will be allocated in tranches, to be assigned to each enterprise as they reach a set of predefined milestones specific to each venture. 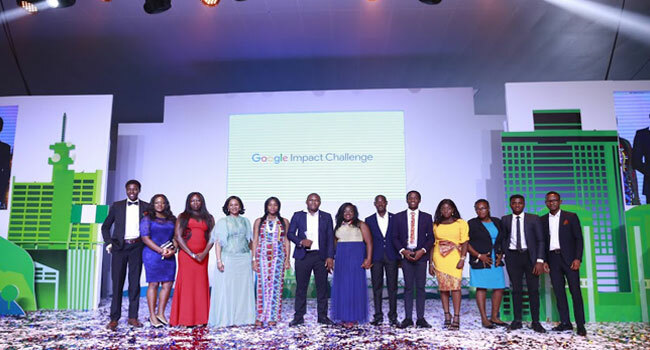 Google Country Director in Nigeria, Juliet Ehimuan-Chiazor, said the Google Impact Challenge is aimed at shining a light on the great of African innovators. “Many African innovators are doing great work with real impact and Google is keen to shine a light on their work, and also give a financial boost to their projects and ideas. The competition opened in May with more than 5,000 entries received in Kenya, Nigeria and South Africa. Judging to narrow down the 12 finalists was conducted by a team of Googlers and Google partners with expertise in the sector. Voting was then opened to the public from 8 to 26 November. On the night, each entrant pitched their enterprise to a judging panel, which voted on the winners. The results of the public vote determined the people’s choice winner. Judges of the Google Impact Challenge. Judges on the night included Chairman CEO Channels Media Group, Mr John Momoh (OON), Mrs. Parminder Vir, Chief Executive Officer; Tony Elumelu Foundation; Rapper, CEO of Chocolate City Music Group, MI Abaga; Philanthropist and Executive Director of Nigeria Network of NGOs Oluseyi Oyebisi; Managing General Partner, EchoVC Partners Eghosa Omoigui and Google Nigeria’s Country Director Juliet Ehimuan-Chiazor. Bunmi Adedayo Foundation – This non-profit organisation trains public primary school teachers to bridge competency gaps in their teaching methodology as well as any subject area deficiencies. LearnFactory Nigeria – Its EmBED project uses technologies like virtual and augmented reality and artificial intelligence to make learning fun for children. Rural Development and Reformation Foundation – Its OLEJU campaign is designed to economically empower women to become skilled artisans using creative recycling technology as a major tool. Seed Tracker – IITA – This digital app is designed to enhance quality seed production and access to seed markets, addressing the lack of knowledge in the sector. Solar Sister Nigeria – This non-profit social enterprise recruits, trains, and mentors women to deliver transformational solar and clean cooking solutions directly to the doorsteps of homes across the country. The Roothub Tech 101 – A training programme designed to provide much-needed technology skills to disadvantaged youths in the rural areas of Nigeria.